For more information or to schedule an appointment call (843) 815-3400 today! 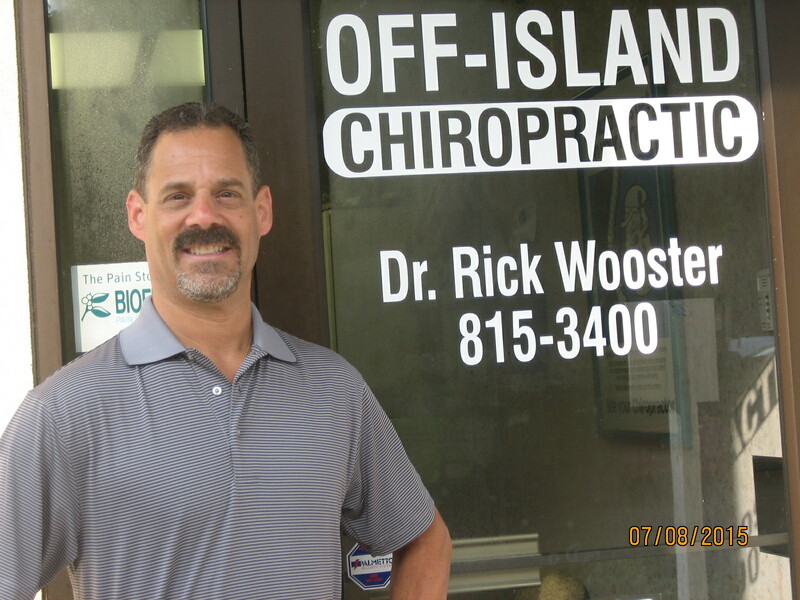 Dr. Rick Wooster is a chiropractor serving Bluffton and the surrounding communities. Our chiropractor and the rest of the friendly team at Off Island Chiropractic, PC are dedicated to chiropractic solutions to target your unique needs, whether you are suffering from back pain, neck pain, headaches, or even just plain old muscular tightness and tension. You may need pain relief after suffering an accident, experiencing an injury, or if you have a specific condition such as chronic back pain or a spinal condition; even if you just want to improve your overall health, Dr. Wooster; our chiropractor, can help you achieve your wellness goals! Please visit the testimonials page to see what our patients are saying about our chiropractor, located right here in Bluffton, SC and their experiences receiving regular chiropractic treatments. At your first visit to Off Island Chiropractic, PC, Dr. Rick Wooster will explain the science behind how chiropractic care works, and give you a full evaluation to see if chiropractic care is right for you. If there is a good fit, we can develop a plan of chiropractic care that is specific to your condition and health goals. If you are new to seeing a chiropractor here in Bluffton, and want to find out more, please call (843) 815-3400 to receive personalized answers to your questions from our friendly team. We also welcome referrals, so feel free to use the "Send to a Friend" link located at the bottom of every page to share our health information with your friends and loved ones. 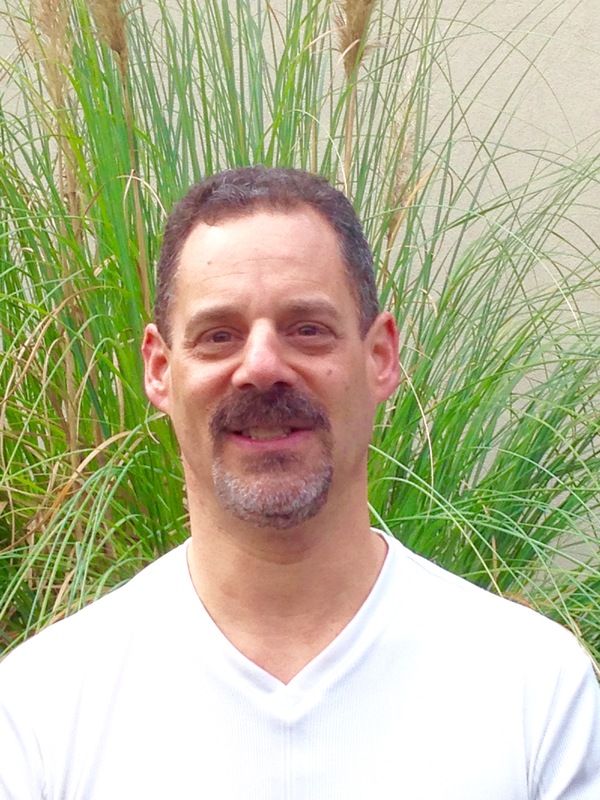 Dr. Rick Wooster was born and raised on Long Island, NY. He completed his undergraduate education at S.U.N.Y. at Oneonta and S.U.N.Y. at Farmingdale. "I have been suffering from neuropathy for about a six month period. I was referred to Dr. Rick Wooster and he has been helping with my pain. I began a 3 week treatment and from day one I have felt much better and have even improved since then. It's been 3 weeks now and I am very very happy with Dr. Rick and his wonderful staff and I would highly recommend them with 5 stars"
"I hope this letter finds you, your family and staff doing well. I want to express our sincere thanks and appreciation for the wonderful caring service you provided my wife Becky this past Summer. As you know she was in tremendous pain when she first came to your office. She has been pain free now for several weeks. Words cannot express how much we appreciate your service. We also appreciate the friendliness and professionalism of your staff. Debbie and June are great assets to your practice. We do not hesitate to recommend your service to our family and friends. May God continue to bless you, your family and practice in abundant ways. You are a true blessing to us and to the Bluffton/Lowcountry community." "I would like to thank you for the services you provided to me. I am finally able to get back to excercising and doing daily activities with little or no pain. I think your method of treatments and quick access to your services really helped me get back on the road to recovery." "I want to express my heartfelt gratitude to Dr. Wooster, who has treated me for a chronic back condition since 2008. Through his supportive treatment and encouragement, my life continues positively in a productive fashion. 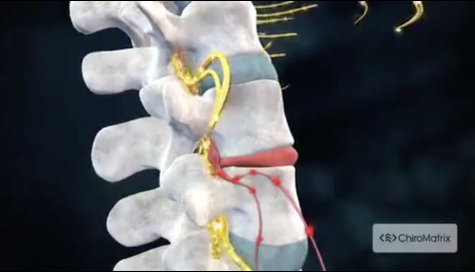 Dr. Wooster is passionate about Chiropractic and has proven to be hugely successful with so many patients." "My wife & I have been patients of Dr. Wooster's for over four years. His caring (TLC) and knowledge is off the charts. I have, and will continue to recommend Dr. Wooster to those who are seeking help with health issues. The receptionists; June & Barbara are pleasant & helpful & compliment the practice. This is not a paid commercial- ha ha." "When moving to a new area there are many things to consider and #1 is finding doctors for all your individual needs. My main concern was a good Chiropractor. 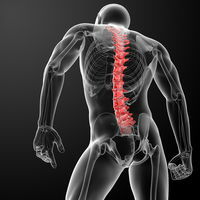 I have been a chiropractic patient for 17 years and have worked in a couple of chiropractic offices. Fortunately AND unfortunately that gives me just enough knowledge to know good from bad. Dr. Wooster is not only extremely knowledgable in his field but very compassionate and you can tell he really cares about your health. Also, his staff is great. They go above and beyond to accomodate my schedule. I can truly say that Rick and his staff have made my move to the low country a wonderful chiropractic experience." "Dr. Rick Wooster, Just a note to thank you and your staff for the outstanding care and professional service you provide. You have been such a blessing to me. You have helped me so much in getting me some great pain relief. You have been great for my wife, my son and so many others who benefit from your professonal service. May God bless you, your family and staff in a very special way. You are loved and appreciated. Sincerely yours,"
"I just wanted to thank you so very much for the wonderful care you've given me. From my first visit to your office, you made me feel welcome, and confident that I'd picked the right place. I've enjoyed each vist, your friendly faces and great chats have made each appointment such fun. Your patience and understanding of my previous treatments, and that you listened to my needs meant so much to me. I'm going to miss your smiling faces, but I'll see you in the Fall. Until then, my best to you"